We have offices in Los Angeles and Riverside. Over 25,000 Happy Customers Like Us on Facebook. Please click on the Facebook logo on the bottom to read what they are saying about us. We'll match any competitor's price in Los Angeles. 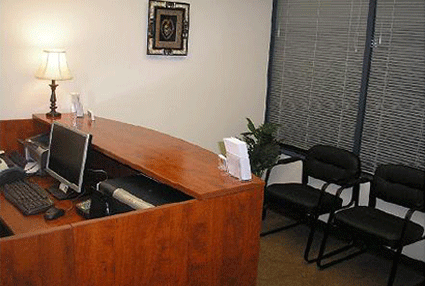 Our offices are central to all of Los Angeles and Riverside. A once in a lifetime experience. We are open 7 days a week from 8AM to 9PM by appointment. Same day appointments are available. Share your experience with up to 10 guests on our 100 inch screen and 2 viewing monitors. Early gender determination is available at 14 weeks. It has been our privilege to share this incredible bonding experience with over 25,000 families at our centers. We take the time to make sure your experience is one you will treasure for a lifetime. Friends and family are always welcome. We use the State-of-the-Art GE Voluson 730 Expert 4D system for the best picture quality. All of the amazing pictures in our image gallery were taken at our centers. Please see comments from customers who have visited our centers at the bottom of this page. 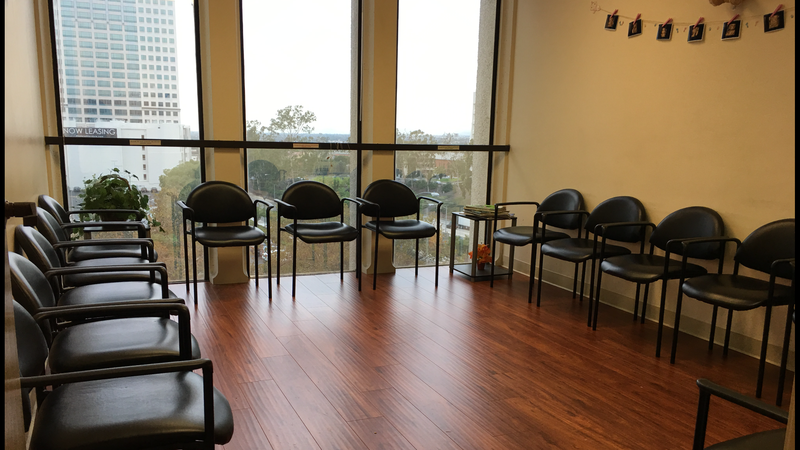 Our centers feature comfortable lounges, in a relaxed and friendly atmosphere. See pictures below. Evening, weekend and same day appointments are available 7 days a week from 8AM to 9PM. A once in a lifetime experience. Pictures, DVD's set to music, Digital Pictures on CD, Gender Determination, and Gift Certificates by phone are available. We accept Visa and MasterCard credit cards. You receive everything at the time of your appointment. Call for an appointment today. We would like to thank all our customers for choosing our center. It is truly our privilege to share your treasured moment. Like Us on Facebook Now, and Receive Four Extra Pictures with any Package over $45 when you come in. Just Click Here and then Like Us. "It was really neat to see my little girls so active, acting so cute. This was an awesome experience I will always remember." "I really enjoyed the experience. The staff was great." " I had a very nice experience. Your staff is very friendly. The waiting room was really comfortable. We're sure it's a girl. Thank you for this experience." "My experience was a very positive one. The sonographer was very soft, gentle and professional at all times." "I would like to thank you for the enjoyable experience. The sonographer was very funny and sweet. Not to mention very informative. Thank you very much." 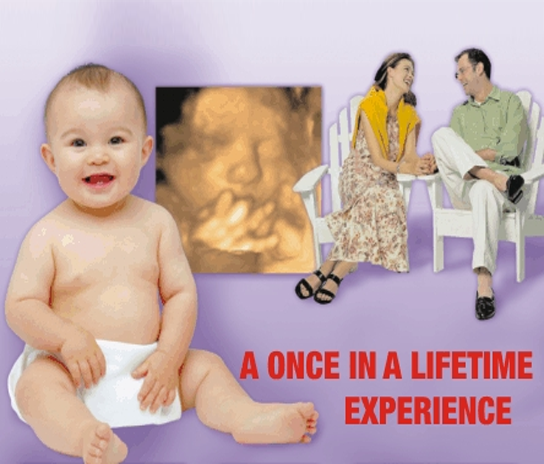 "Both me and my husband were very happy with the service and accuracy of the sonogram. Thank you." "My experience was exceptional. From the moment I entered the office until the moment I left the staff was very friendly and outgoing. The technician took her time to get good pictures of the baby's face. I appreciate all her efforts." "It was exciting and interesting. It was really helpful when the technician gave commentary and moved the cursor to show different parts. She was worlds better than and far more helpful than the technician at the hospital. Thank you so much again. Also the warm jell was a small but wonderful surprise." 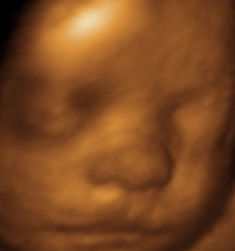 "I really enjoyed the 3D sonogram. It made me so happy to see the baby smile and yawn. The ultrasound tech was so nice. She really made the process enjoyable." "Amazing! 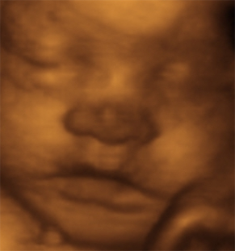 4D sonograms make it so clear. You can really see your baby up close. I recommend it. It is priceless." "The experience had me speechless. To have the ability to share with my family and close friends our first look at our baby girl had us all dazzled. Thank you for the experience." "This was a great experience for me. When I had my first child just 6 years ago 4D ultrasound didn't exist. I would definitely do it again." "I like the service here. We were treated with courtesy and respect. Having pictures of our baby will be really memorable. We would like to thank you." "The experience here was very fun and exciting. The sonographer and receptionist were very polite and made us feel so comfortable. We were definitely very satisfied. Thanks for everything." "It was a great experience to be able to see our baby and to be able to share this with our parents and other family members. We were all just happy to be here." "My husband and I were worried that a gender determination at only 15 weeks might be impossible. Apparently anything is possible. We're having a boy. Everyone was extremely helpful and very nice. We were impressed. I can't wait to bring my family back for our second 4D ultrasound. Thank you." "Thank you so much. The staff was very friendly and enthusiastic. They cared very much and met all our expectations. The service was great. I will recommend you to everyone. Thank you so much." "We only have positive things to say about our visit. We were treated very well and my family and I had a beautiful experience. From the receptionist to the technician they made us all feel welcome. We were able to see our son move around continuously. The technician was very patient in trying to get us the best pictures of him. It is amazing to see the growth in technology. Our technician was very informative and professional. We enjoyed every moment of it. We had our family baby shower that weekend and were able to share our beautiful pictures with our family. Thank you for such a wonderful experience." "I think it was really neat to see the baby's facial features before she's even born. The staff was very friendly." "I thought that this was a great experience. It was very enjoyable for my family, especially my 8 year old daughter. Thanks so much." "We got to see her chubby cheeks and cute nose. It was very surreal. We can't wait to meet her. Thanks for everything." "I thought this was really neat. My daughter, age 5, wants to say she loved seeing the new baby." 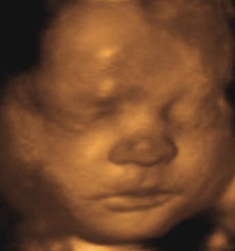 "I enjoyed every moment of our 3D ultrasound appointment and would not change anything about this experience. Thank you once again." "It was a great experience. The sonographer was very sweet and helpful. She made the experience so pleasurable. I would highly recommend your center." "Great images and the technician made the experience wonderful. I would definitely recommend for my friends to come here." "I am so happy. I had a lot of fun. Thank you for everything you do." "I had a great experience today. The ladies in the office were so kind and patient. My baby wouldn't show us gender at first but the sonographer kept trying. She was awesome. It was a wonderful experience for me and my family. I would recommend this office to everyone I know"
"With my past hospital ultrasounds the technician was cold and professional. It was so wonderful having someone take the time to help me really see the baby." "I had a really good experience here. It was a lot of fun and it was amazing to see her face." "The sonographer was very friendly and helpful. It was well worth coming. It was priceless. Thank you so much"
"It was so much fun! The sonographer was very nice and was very informative. The whole experience was great and I would definitely come again!" "This was our second visit. We were just as happy as the first visit. The sonographer was wonderful. She explained everything thoroughly. We are very satisfied and would definitely recommend you to friends and family." "Great experience. The large room really worked well to get the entire family to see our baby. Thanks!" "We were very happy with the process and the pictures. I would highly recommend you to everyone." "I had a wonderful experience. I was so happy and overwhelmed to see my baby’s face for the first time. The staff here is so nice and made my experience extremely pleasant. They were more than helpful in answering my questions and making me feel comfortable. Thank you so much for this wonderful treasured moment." "I had a really great experience. The service I was given was great. I would recommend any friends and relatives to experience a special moment like mine." "Everyone was really nice. It was the most precious experience. I will highly recommend it to other people. We are definitely coming back for a another visit. Perfect customer service. Thank you." "It was a wonderful experience because you can see how your baby is positioned and how beautiful your baby looks when he is sleeping. I feel so attached to my baby now. It was a great experience. Thank you." "I had a great experience. The staff made me feel so comfortable. The big screen was really great for viewing. It was everything I hoped for. I would come back and will recommend you to friends." "Very good service. The staff was very nice. Very good explanation during the 4D ultrasound. I’m very happy with the results. The office was very nice, clean and very relaxing." "Oh my gosh, what a difference in attention that I received here than at the hospital. I am happy to drive down here to have the sonographer take the time to go through everything. Thank you so much." "It was breathtaking seeing my daughter moving. We really enjoyed it. It was a wonderful experience. Thanks for everything." "I can’t thank you enough. It was a beautiful experience. The staff is just great. Thank you for this incredible moment." "I really enjoyed the experience. The things I saw were so amazing. I will definitely come back and recommend you. Thank you for the experience." "We had a wonderful experience. Thank you for your service." "We were very excited to see our very first baby pictures. We were very pleased with the results. Very friendly staff and very very patient with our stubborn little boy. Thanks again." "It was a wonderful experience. We are so glad we decided to do this. We got to see what our baby will look like. The sonographer was great. She was very friendly and let us know exactly what was going on. We would so do it again in a second." 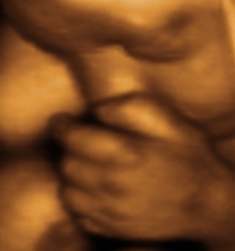 "The 3D ultrasound images were absolutely phenomenal. Having the family there added to the joy." "We thoroughly enjoyed seeing our baby in motion. We will be back in December." "This experience is absolutely wonderful. I enjoyed sharing this with my friends and family. I will recommend this to everyone I know. 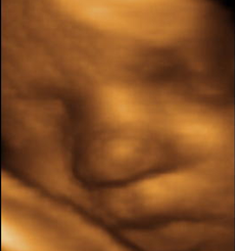 The sonographer was wonderful and very thorough." 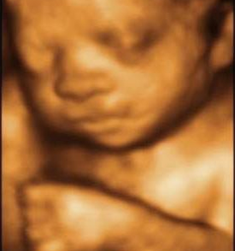 "The 4D ultrasound was great. I’m really glad I had it done. Everyone was very nice and helpful. Thanks!" Copyright © 2017 Treasured Moments Ultrasound Inc. All Rights Reserved.